I talked about my favorite short story for the podcast Not Just Hemingway! 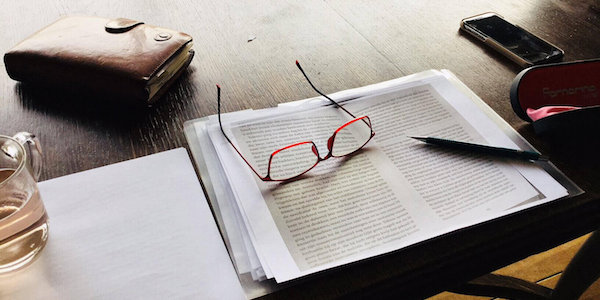 The podcast of Dieuwke van Turenhout aims to popularize the short story format in The Netherlands, by showing how many great short stories there are from all around the world. 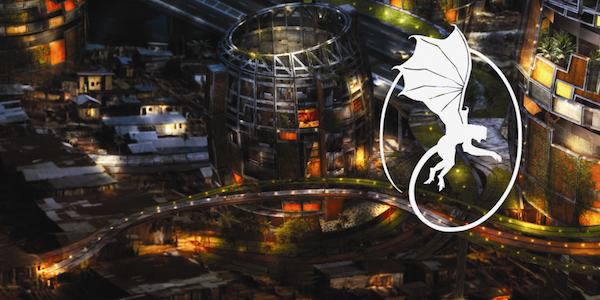 I discussed the great short story “The chosen one” by Puerto Rican writer Luis Negron. Listen to it here! For Dutch magazine De Groene Amsterdammer I wrote a short article about the tragic events in Charlottesville. Read it here. 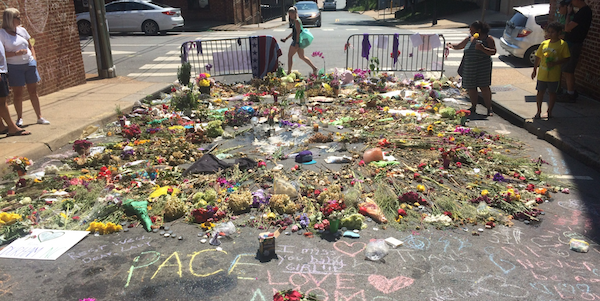 Or read my extended blog post about my visit to Charlottesville one week after here. What’s moving to another country without keeping a blog? Yes, it is a cliché, but I promise, I’ll try to filter out the obvious observations as much as I can – big coffee cups, big portions, big cars (the keyword’s big here) – to hopefully get to something more insightful quicker. I’ve been meaning to start this Blog for three months, but what better moment to start than on the very first day in Boston over an all American breakfast. 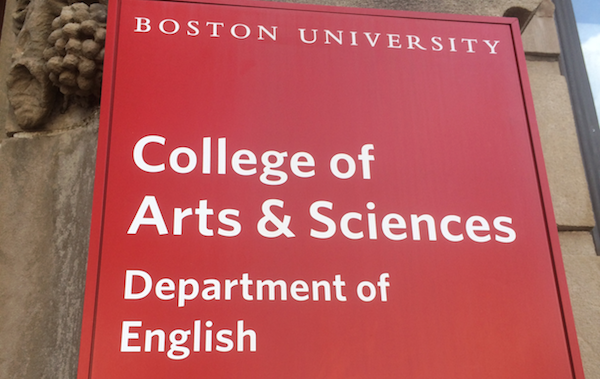 I’m admitted to the Creative Writing MFA of Boston University! Yes, I secretly applied, and no, I didn’t tell many people, because I didn’t think I stood much of a chance. 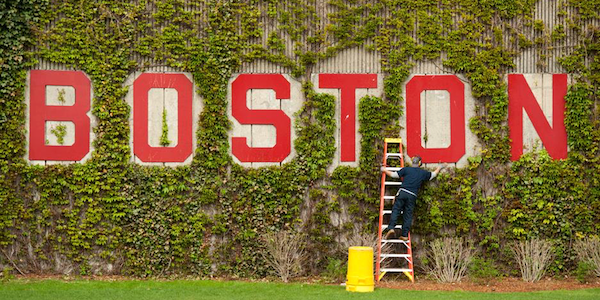 I still can hardly believe it, but I’ll start in the Fall of 2017 and will be in Boston for two semesters and a summer. I also got the unbelievable news that I’ve been awarded a Fulbright scholarship in addition to my BU teaching fellowship, which means that I can dedicate myself to writing for a full year. I’m extremely honored and excited to be studying in the presence of Leslie Epstein and Ha Jin and nine other motivated aspiring fiction authors! I’ll be spending Christmas and New Year’s in Korea! 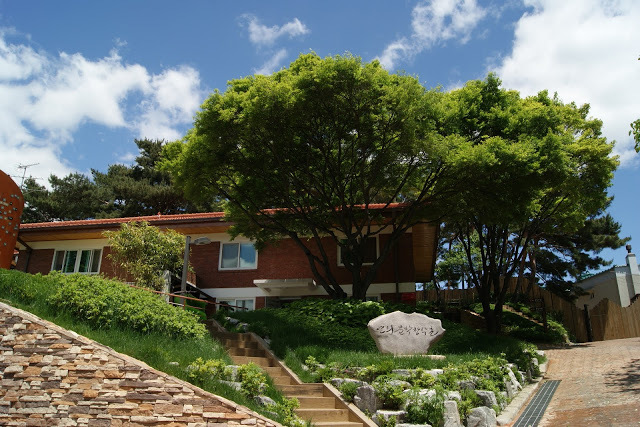 Coming month I’m invited to be a writer in residency at the Seoul Art Space Yeonhui, a small artists colony in the center of the capital. A great chance to continue working on my novel and meet a lot of Korean writers. I’m invited to the Martha’s Vineyard Writers Residency in October! 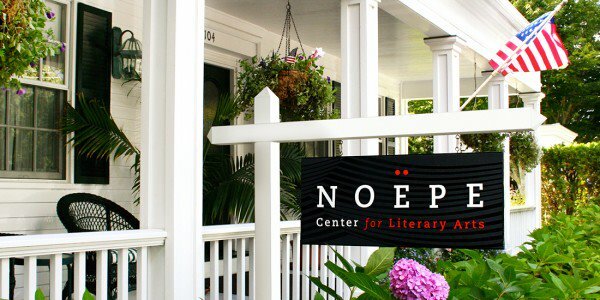 The Noepe Center for Literary Arts awarded me the Carol Wagner Smith Scholarship to do a two week residency in Edgartown, Massachusetts. I’m thrilled to be given the chance to work on my English stories. Finally I have the perfect excuse to be back in the US. Martha’s Vineyard seems like a paradise, as does the small inn that hosts the residents. It seems the perfect idyllic place to work on a story about self-deception and the dangerous undercurrents of human emotions. 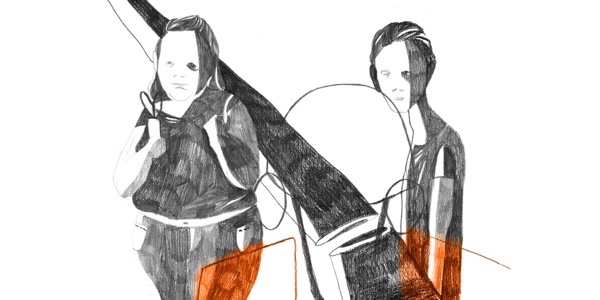 Yesterday I published my short story Jantine on the Dutch blog Hard//Hoofd. The illustration was made by Dutch artist Lune van der Meulen, and I think it captures the awkwardness of the story perfectly! A translation will be available soon! Until then, you can read the Dutch version on Hard//Hoofd. A few months ago my short story Mister Hobson’s Mustache got selected by Writer’s Digest for publication in their 16th Annual Writer’s Digest Short Short Story Competition Collection and today I got the book. My very first publication in English! Isn’t it beautiful? And, coincidentally, also my very first publication in print. Two milestones all wrapped up in this neatly layouted short story anthology. Many thanks to Writer’s Digest for selecting my short out of over 6700 entries. And many thanks to my neighbors at the Silbersteinstraße in Berlin: I found the package on the floor next to my mailbox. It was ripped open, but the book was still there! Ain’t I lucky? Bart Kuipers writes short stories and screenplays in Dutch and English. He holds an MFA from Boston University and graduated from the Amsterdam Film Academy in 2011. Since then he published work in online magazine Hard//Hoofd, Writer’s Digest and De Groene Amsterdammer. He is the recipient of a Fulbright scholarship. Currently he works and lives in Berlin.